Murdered: Soul Suspect has been something we;’ve been keeping an eye on since seeing it at one or other trade show a few years ago. It’s the sort of game that a studio and publisher with no balls would pass right up on for being different. Here’s a brand new trailer for the game, telling you everything you need to know about the game, plus probably a little you didn’t . It essentially lays out the entire overview of the story, so if you want to go in to the experience fresh, you may want to give the trailer a skip. If you’re a little on the fence about this one, give it a watch, and it may just convince you. Play as Ronan O’ Connor, a Salem police detective whose life is brought to a brutal end by a masked killer. Caught in a purgatorial world called Dusk, he must combine his investigative skills with powerful supernatural abilities to uncover the shocking link between his own death and a series of killings terrifying the town of Salem. I love a good murder mystery, and I really hope this game is focused more on solving the case than on wanton action and killing things. That seems to be the case, with a fair bit of emphasis on the sleuthing bit of this supernatural thriller. 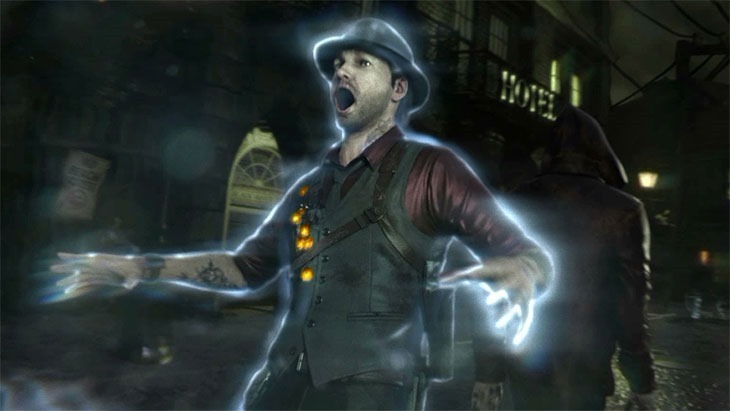 Murdered: Soul Suspect is coming to new and old consoles early next month; June 3 in the Americas and June 6 for the rest of us.